Sparkle #175: Fall in Love with Yourself First! February is here, the perfect month to look at everything with rose tinted glasses. Thanks to valentines day, there’s a whole lot of love in the air and I can’t help but smile at all the mushiness. While we are on the topic of love, let’s take a moment and talk about self love and how it is the key to living a happier life. Being totally and completely in love with yourself is essential to having healthier relationships. So whether you are single or attached, looking for love or falling in love, don’t forget to love yourself first! Here are some of my favorite ways to practice self love, along with a couple of helpful resources which can keep you motivated on the path of loving yourself through this month and year! And right below the list is a mood-board featuring some of my favorite self love quotes, feel free to download and save on your desktops or mobiles! Practice meditation and yoga as often as possible. Try and minimize the clutter in your life; simplify, embrace minimalism. Don’t compare yourself to others, you are unique and so is your story! Take yourself on dates – eat by yourself, watch a play or travel solo. Indulge in some form of exercise daily – even a simple walk will do. Sleep on time, your body will thank you for it later. Smile more often and especially at strangers. Learn to say no to things without feeling guilty or stressed. Eat food that nourishes your body and soul. Spend as much time as you can with nature. Indulge in a hobby without plans to commercialize it – sing, dance, create! Practice balance – eat well but indulge once in a while and in moderation. Instead of abusing your body, treat it with respect. Write love notes to yourself when you are happy and read them when you feel low. Stop complaining and embrace an attitude of positivity and gratitude. Cherish your friendships and relationships and invest more in them. Forgive yourself for your mistakes and stop feeling guilty. Let go of judgements and practice kindness as often as you can. If you are looking for quick fixes to indulge in some self loving, try one of these – slather on some body butter, take a hot bath, eat a slice of decadent cake, paint your nails in bright colors or do just about anything that makes you happy. Below are some more tips and resources to get you started. Try the power hour method for self care – I am definitely giving this a shot. Take part in a challenge. Try the February self love challenge or Buzzfeed’s 12 day love yourself challenge. 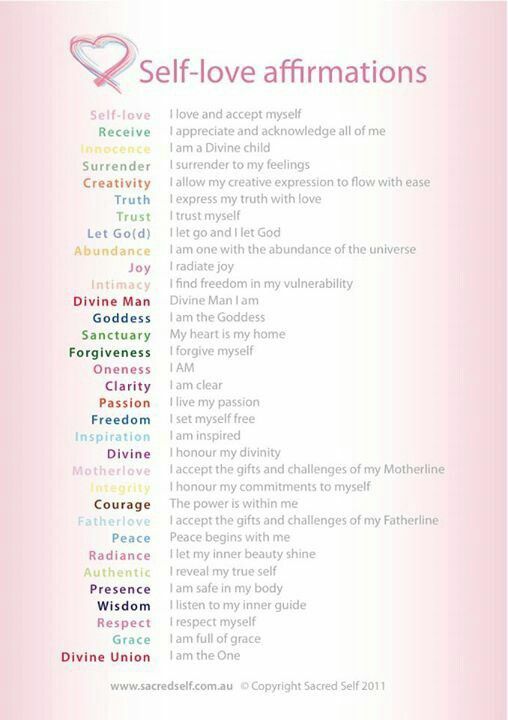 Bookmark these – self love reading list, 50 songs on self love, free ebooks on self love, quotes on self love, self love affirmations. Keep info-graphics and tips handy for whenever you need a reminder. I like this, this, this and this info-graphic. Like one of my favorite characters Geet says in the Hindi movie Jab We Met, “I am my own favorite“! So this February, be like her – just be your own favorite and life will reward you with all the love you need and deserve. Yay for self love! Thanks for the link love.